The human gastrointestinal tract is a highly compartmentalized structure, lined by a series of specialized epithelial cells. A subset of these cells, called stem cells, are renewed on a periodic basis for purposes of homeostasis preservation and occasional tissue damage repairs. However, these stem cells have been associated with the formation of metaplasia and dysplasia, which are regarded as precancerous lesions. 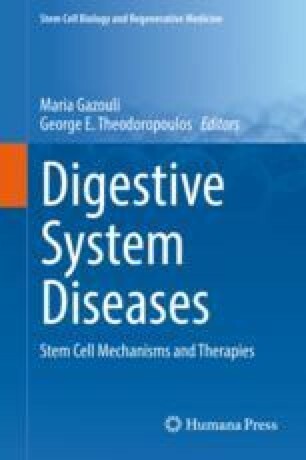 Advances in the characterization of gastrointestinal tract stem cells have offered insight on their establishment, maintenance and regulation. Since deregulation of stem cells may be responsible for premalignant or malignant lesions, a better understanding of the mechanisms responsible for their cellular proliferation, maturation, and differentiation is crucial for these pathologies to be treated.